Due to a variety of different reasons, inevitably at one point you will probably need to leave your cat in someone else’s care, but deciding where and who to leave them can be nerve wracking and a decision that should not be taken lightly. Traditionally catteries were the place to take care of your cats in these situations, but over the past years we have seen the rise of home pet sitters, but how do you know what is best for your cat? Ultimately, it is your decision and every cats individual needs should be thought of, however, we wanted to create a guide that weighs up the pros and cons of both, to help you make your choice if you are feeling confused. With a cattery you will be drop your cat off to a purpose built venue, where your cat will board in a large kennel/run for the duration of their stay. If you have multiple cats you can often request a large pen for them to be housed together and a dedicated worker will be on site to look after all your cat’s needs. It is advised that you choose the cattery route, to get your cat used to the same place from a young age as catteries can potentially be stressful for a cat. Cats like their routines and their home surrounding, moving a cat from their territory to an unusual environment can cause distress for some cats, however a good cattery should use pheromone products, such as Feliway, to help your cat adjust. With a cattery you know exactly where your cat is, you can rest assured they are safe at all times in their pen, however, a cat that is used spending the majority of their day outside exploring, may find the sudden restricted space uncomfortable and may start to exhibit signs of stress. This may increase more if you cat is able to smell other cats (and potentially see them), as they will not feel like they can defend themselves. Ensure your cattery provides a hiding area, and the best catteries will not allow cats to be able to see each other from any angles. 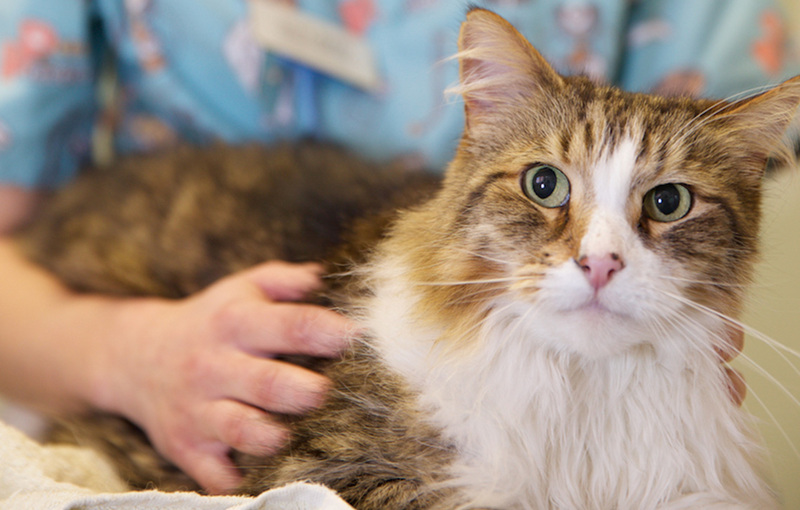 If your pet is on medication, you can ensure they are in the right place to receive their medication at a routine time each day, cattery owners are often very experienced in this area and used to medicating even the most difficult of patients. By taking your cat to a cattery, you do not need to let someone in to your home, some catteries also provide a pick up and drop off service. 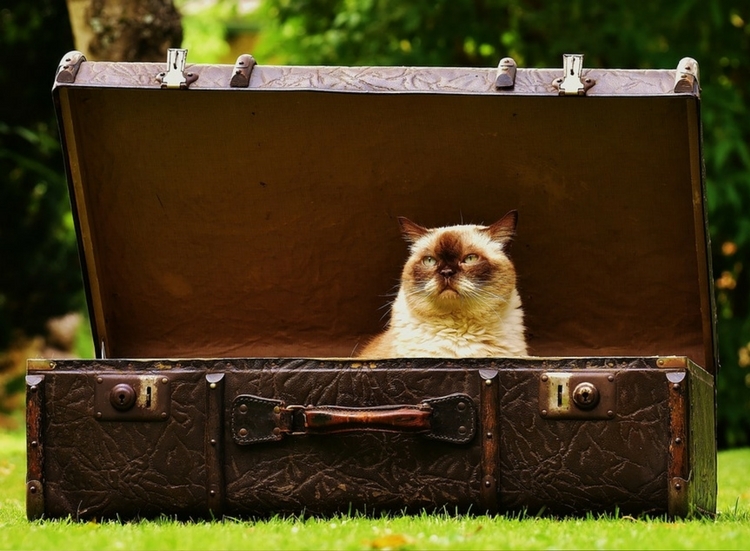 However, good catteries can also be booked months in advance, so you may have trouble finding space if you need to take a last minute trip! A pet sitter’s job is to come to your home and look after your cat in their own environment, this can either be a live in service (where they live in your house) or a feeding service (where the pet sitter will visit during the day, usually once or twice) to check on your cat and feed them. As we have learnt more about cat behaviour over the years we have seen a big rise in this service, as it allows the cat to stay in their own environment. Obviously, the biggest positive of this service is that the cat gets to stay in their own territory with their own things, it eliminates the stress of a new environment and new smells. However, they will still need to get used a stranger being in their home, we would always advise you and your cat meeting the pet sitter before your holiday to ensure they start to build a bond. Your pet can keep their routine the same, this is a positive if they are an outdoor cat, however you need to make sure your cat returns home when called by their pet sitter, if you have a feeding service, you pet might not also be home during this time, so you may feel concerned if your pet sitter does not see your cat for a day or two. For peace of mind, you may decide to keep your cat indoors while you’re away. Not only will this mean they’re always there when the pet-sitter calls, but you’ll be more relaxed knowing that they’re not getting into any trouble in outdoors (please be aware this will not be suitable for all cats). In a cattery the workers attention will be divided between all the current visitors, but with a pet sitter your cat(s) will be the only ones, therefore they will have the undivided attention of your sitter, some believe a pet sitter may have more time to pick up on subtle changes in your cat. With a pet sitter you will obviously need to let someone into your home and with that have keys, some may find this daunting however it can also be a positive as they are also looking after your home as well as your cat. Some pet sitters will agree to close and open curtains, water plants, move post, etc. Insurance, you will need ask and check you cattery or pet sitter has valid insurance. It is not a legal requirement but it is recommended and is a sign of a professional. A Police Check – this can be especially important for a pet sitter who is coming into your home. References – we would always recommend seeing at least one or two references. If they have a social media page or website look at their ratings and reviews. 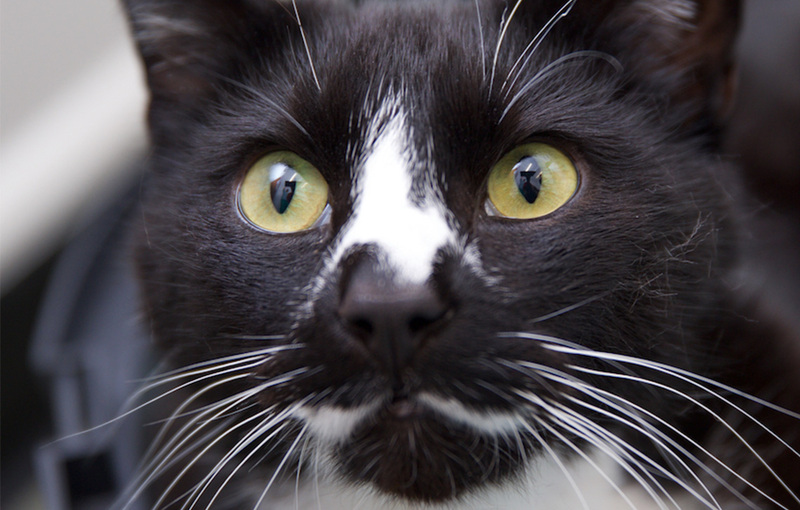 Get to know them – Always visit a cattery before a booking, never book a cattery who will not let you visit and see where your cat will be staying. For a pet sitter, ask them to visit you in your home and see how they are with your cat. Experience – ask for their experience with animals, the more experience the better. Updates – Do they provide updates on your cat through out their stay? 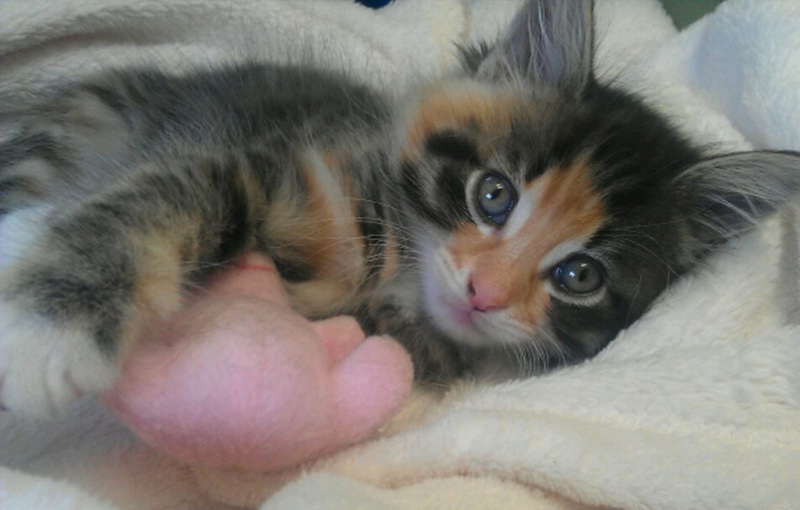 A good sitter or cattery will, and will give you peace of mind as well. Trust your instincts, if you do not feel 100% happy keep looking, ask your friends or family for recommendations, or even your veterinary practice. When you have chosen, ensure they have your cat’s routine written out, any previous history they may need to know as well as emergency contact details. Leaving your cat can be daunting, for both you and your cat, but with good planning and research it doesn’t need to be, and you can rest assured your cat is in safe hands.